Today, I was off campus working on the new 6-12 NGSS-aligned science curriculum. I left the Faraday’s Law lab for my AP Physics 2 students. The explored the relationship between flux and the induced emf. Last year, we did this lab with just a voltage probe and the resolution wasn’t great due to the small induced emf. 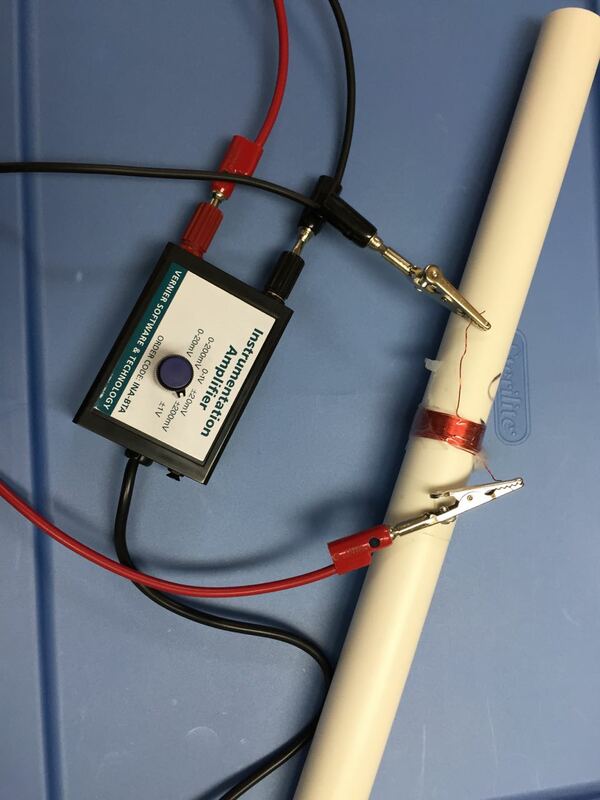 This year, I have Vernier’s instrumentation amplifiers and am hoping for much better results.